In an essay concerned with the Eameses’ relationship to the discourses of craft, Pat Kirkham, author of an important book-length study of the Eameses, has argued for the latter; she has also gone far to reject the longstanding record of gender bias that has tended to hold Ray responsible for the clutter. Instead, she links the couple’s unorthodox collecting practices to the substantial influence on Charles of the American Arts and Crafts movement. According to Kirkham, the Eameses viewed the carefully composed arrangements of objects in their living room as “functioning decoration,” a concept which deliberately sought to overcome the banishment of decoration by modernism’s prevailing minimalist sensibilities, and which contributed to their unique aesthetic of “addition, juxtaposition, and extra-cultural surprise.”5 Kirkham thus calls for a more dialectical understanding of the relationship between crafts and industrial design in the postwar era and points, at least implicitly, to the way in which the Eameses’ fascination with the non-West remained inseparable from the hierarchies and binaries of art-craft, high-low, and male-female. Critical interventions in architectural history have thus helped to deconstruct the heroism of a figure like Le Corbusier in places like Algiers, Chandigarh, Istanbul, and elsewhere. They have also confronted, more substantially, the tremendous historical complexities of modernism on the world stage at the middle of the previous century, for it is a historical moment which belongs simultaneously to nationalism and decolonization, modernism’s varied responses to colonialism, and the residues of orientalism of the nineteenth-century sort. It is useful to recall that Edward Said had cautioned against extending the arguments of Orientalism, rooted in the historical logic of the nineteenth century, to the complexities of the twentieth century precisely because he felt that his 1978 book could not account for the great political and cultural movements of decolonization within which modernism’s canon was produced. A “huge and remarkable adjustment in perspective and understanding” was required, he stated, to account for twentieth-century modernism’s postures and sensibilities, which led to the end of the era of colonial subjugation and a new self-awareness for many of those involved.10 Said was interested in a writer like Joseph Conrad precisely because he sat on the cusp of this threshold; it was the ambiguity and essential lack of clarity of Heart of Darkness that generated Said’s brilliant reading of the “two visions” made possible by the “complicated and rich narrative form of Conrad’s great novella.”11 Although the paradigms of Orientalism were quickly assimilated into the field of art history, and the study of nineteenth-century painting, in particular, Said-ian approaches to the twentieth century have received far less attention in the visual arts. For Said, Conrad’s method of spectral illumination and misty meaning-making, “as a glow brings out a haze,” marked not only the difficulty, confusion, and gloom brought on by the increasing inevitability of colonialism’s demise, it also represented modernism’s response to the erosion of an earlier epistemological ground (i.e., orientalism). Through such readings, and in much of his later work, Said sought an account of twentieth-century culture by placing modernism’s aesthetic forms, or at least its literary forms, the novel in particular, within the world-historical unfolding of decolonization and anticolonial nationalism in the twentieth century. How can we meaningfully extend these insights to the modernist canons of the visual arts? And what would it mean to rethink our account of “mid-century modernism” through the discrepant narratives of a postcolonial one? The Eameses are perhaps, on first glance, an unlikely point of entry into some of these concerns and trajectories relating to postcolonial modernity because in many ways they serve to epitomize a story that is thoroughly American. Both Charles and Ray were born before World War I (he in St. Louis, and she in Sacramento) and were shaped by the political economy of the Depression and the New Deal. Charles’s design ideas were imprinted by his experiences in engineering and manufacturing, and by blue-collar jobs he held in the heartland, while Ray was influenced by early Abstract Expressionism during her time in New York in the late 1930s.12 They married and moved to Los Angeles six months before the bombing of Pearl Harbor, where they joined an group of acclaimed Jewish émigrés from Europe to establish a robust aesthetic and intellectual culture in that city. Yet they also signaled a major departure from their peers in these Old World circles: the Eameses did not maintain a “high-cultural” distance from the forms of mass culture so unappealing to a contemporary neighbor like Theodor Adorno. Instead, the couple served to embody Southern California as a site for the “American Dream,” defined as the seductive mix of postwar prosperity, consumerism, television, freeways, and good weather. The exhibition thus revealed America’s fears about India’s alliances in the cold-war struggle, fears that would only escalate that year because of an event taking place in another part of the world. 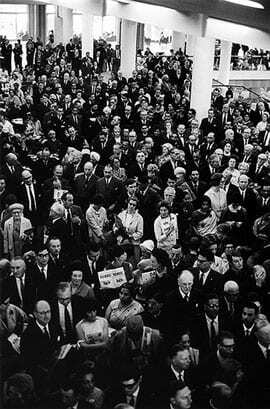 The event was the Bandung Conference, the emotionally charged meeting held in Bandung, Indonesia, that brought together twenty-nine newly liberated countries of Asia and Africa, the self-declared “underdogs of the human race,” in response to the bipolar politics of the cold war.22 The goal of the meeting, in the words of its host, the Indonesian president Sukarno, was to “inject the voice of reason into world affairs,” through a new alliance of “third” or “non-aligned” nations united by their commitment to peace, and their shared histories of colonial and anticolonial struggle.23 The meeting represented, in other words, the spirited beginnings of the “Third World” ideological project and its foreign-policy counterpart, the Non-Aligned Movement, which was formalized by Nehru of India, Gamal Abdel Nasser of Egypt, and Josip Tito of Yugoslavia in 1961, and viewed as a provocation by the cold-war powers. Although art historians have increasingly turned to the impact of cold-war discourses on the visual arts, the global implications of an event like the Bandung Conference have not been part of this revisionist project, which in its account of cold-war culture continues to privilege the art-historical divide between a dominant prewar France and American hegemony after the war.24 Here, Okwui Enwezor’s ambitious attempt to archive and exhibit the modes of cultural self-awareness that found expression in Africa in this postwar period, which reshaped for African nations a “short century,” is a noteworthy exception. Enwezor’s lesson, for our purposes, is that the radical transformations of the world in the postwar period cannot be understood outside the agency and autonomy of Africa’s liberation struggles and the new conceptions of self and society that found expression in events like the Bandung Conference. These social processes generated, in Enwezor’s terms, a fundamental change in the Western conception of the universal subject, “challenging and transforming the ontological limits imposed by European hegemony.” As such, they remain a “strong knot in the tangled web of the modern condition,” and demand a revision of the metanarratives of the twentieth century.25 Two crucial questions, raised by Enwezor and by discussions in postcolonial historiography more generally, thus serve to inform the present investigation: How are modernist practices and forms of representation in the postwar period linked to “other” ideas about history and agency, culture and progress, and sovereignty and nationhood, which were unfolding in dialogue and dissent with the dominant practices of the era? And what is the relevance of this historical matrix for our understanding of modernism, and indeed the world, today? Three years after the Bandung Conference, in 1958, Nehru, the first prime minister of independent India, invited the Eameses to help the developing country incorporate design into his project of national regeneration. Before elaborating, however, I want to attend more closely to the summer of 1955, when the self-assertions of the former colonies at the Bandung Conference converged with the arrival of Indian art and aesthetics into public consciousness in the United States. The Textile and Ornamental Arts of India exhibition at MoMA had gathered an unprecedented range of textiles, crafts, and decorative objects from collections and institutions around the world, including several hundred loans from the Victoria and Albert Museum in London, such as the highly symbolic Tipu’s Tiger, seized by the British in 1799 and still displayed at the Victoria and Albert in London.26 Tellingly, American audiences were largely indifferent to this contested symbol of imperial rule; they responded instead to Girard’s installation of brightly colored saris from different regions of the subcontinent, which hung over a fifty-foot pool of water and were reflected for the viewer in a large mirrored wall. Visitors did not appear to object to this or other violations committed by Girard to the sanctity of MoMA’s modernist “white cube” space. 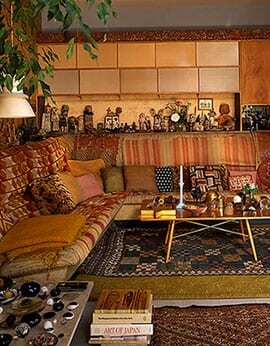 Indeed, his installation, designed as an imaginary bazaar, received rave reviews in New York’s fashion magazines and, intentionally or not, helped to establish the village scene as the privileged setting for the display of Indian crafts in the postwar period. MoMA’s Textile and Ornamental Arts of India thus received significant attention by the mainstream media and was featured in Life, the New Yorker, the New York Times Magazine, Women’s Wear Daily, and Harper’s Bazaar, before traveling for the next three years to more than a dozen locations in the United States, ranging from Pennsylvania, Illinois, and Tennessee, to Texas, California, Florida, and Hawaii. The exhibition also brought the Eameses into contact with a number of distinguished “experts” on Indian art, including Stella Kramrisch, the Austrian professor and curator of Indian art who had recently arrived to work in Philadelphia, Pupul Jayakar, the writer and cultural activist known for her advocacy of crafts in Indian society, and John Irwin, the Keeper of the Indian Section at the Victoria and Albert Museum in London. It is more than a simple coincidence that all of these authorities on Indian art would converge on the MoMA show, the first large-scale exhibition of Indian culture in the United States. They were, more accurately, pioneering figures in an international art world that had been ideologically and politically transformed by the realities of cultural sovereignty in the subcontinent, who possessed a spirited sense of mission, simultaneously nationalist and internationalist, in relation to the visual arts. 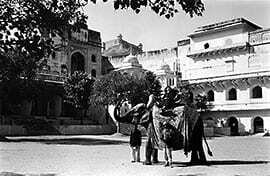 The role of this first generation of postcolonial art practitioners was to consolidate and institutionalize knowledge about Indian art for the first time on this new global stage, which was also defined by a growing American hegemony and New York’s increasingly unrivaled status as the epicenter of the modern art world. Nevertheless, the friendship between Jayakar and the Eameses that was first established here continued over the next three decades, resulting in a number of dynamic collaborations and initiatives that I will continue to explicate throughout this essay. 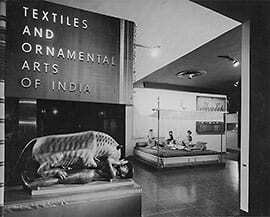 Jayakar, who contributed to the catalogue of the Indian textile show at MoMA and was responsible for introducing the Eameses to Nehru, described the meeting in which the couple presented their report to government officials as “unforgettable.” Charles Eames began quoting from the Bhagavad Gita; when puzzled government ministers sought feedback on industrial design. “There was utter chaos of communications,” she wrote.47 The report itself also reflects some of the discrepancies and missed communications of this encounter. Charles’s fetishization of the lota (or water vessel), which he called “the greatest, most beautiful” object “we have seen and admired during our visit to India,” and which he documented in hundreds of photographs, for example, elevated this everyday object to the highest of design ideals. “How would one go about designing a lota?” he theorized in the report, offering a list of twenty-some details, from the mathematical to the phenomenological, relevant to its construction.48 The lota was chosen, according to Ray, “as a fixed symbol of utilitarianism in an evolving pattern of design. It could have been anything else from the day to day lives of the people.”49 Unfortunately, the cultural association in the subcontinent of the lota with defecation, hygiene, and washing oneself appears to have eluded the couple, and Charles later included his discourse on the lota in his lectures and slide-shows at Harvard and elsewhere.50 The lota would eventually appear, along with the quote from the Bhagavad Gita, on the couple’s Christmas card during the holiday season back in Los Angeles. Significantly, The Eames Report also recommended the establishment of a permanent institute for design in India as a “steering device” in the “relentless search for quality.” The integrity and quality of design, the couple wrote prophetically, “must be maintained if this new Republic is to survive.” The future lay in the training of students, they argued, who seemed “much brighter than their designs”; the student’s drawings were, regrettably, in India in the 1950’s, “an assemblage of inappropriate clichés.”51 Nehru’s response was to establish the National Institute of Design in 1961 in Ahmedabad, Gujarat, a city that resonated, paradoxically, with a history of nonindustrial design practice, as India’s textile capital and the site of Mahatma Gandhi’s ashram, where the latter led the nation in his boycott of industrially produced British goods. Nevertheless, the National Institute of Design, or NID, the direct result of The Eames Report, was the first attempt by a developing country to use the design principles inherited from the Bauhaus as a tool for national regeneration; it remains one of the premier cultural institutions in India today, setting the pedagogic standard for most other design schools in the country.52 Moreover, the Eameses’ attention to what they called the “vernacular expressions of design” and to “everyday solutions to unspectacular problems” reflected their awareness of the specific dilemmas of design in a rapidly industrializing, ancient society—dilemmas which are by no means resolved in India in the twenty-first century, a point to which I will return at the end of this essay. 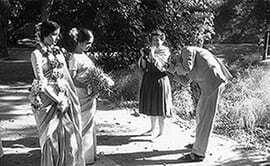 After Nehru’s death in 1964, the Eameses returned to India for three more months to plan, in conjunction with students and staff at the NID, a memorial exhibition about the man they had greatly admired. According to Ray Eames, the couple thought “long and hard about how you treat the life of such a great man conceptually.”53 The exhibition that resulted, Nehru: His Life and His India, incorporated some twelve hundred photographs, plus fabrics, art objects, and sound, as well as a re-created jail cell featuring Nehru’s prison writings. Deborah Sussman, from the Eames Office, described working in Ahmedabad on the project: For several months, “seven days and seven nights, interrupted by occasional fevers, our lives were submerged in the exhilarating, often maddening process of designing and building the exhibit. . . . Ray had been there most of the time, valiantly coping with the difficulties of life in India. . . . She subsequently became a vegetarian.”54 The Nehru exhibition was a great success when it opened at London’s Royal Festival Hall in 1965 and was visited by some ninety thousand people, including the sole survivor in the Nehru family, Indira Gandhi. In her biography of Indira Gandhi, Jayakar reported that she seemed “dazed after her father’s death,” unable to fully register the loss.55 According to Jayakar, the memorial exhibition gave her a focus, an “immediate plan” which she discussed “with passion,” in part because she feared that an incoming government might create “a new interpretation” of Nehru’s legacy.56 By the time the exhibition traveled to New York, Washington, and Los Angeles in 1966, Mrs. Gandhi would herself be sworn in as India’s first female prime minister, accepting the mantle of leadership from her father. The young Indira’s concern with managing and interpreting the legacy of Nehru is revealing, because it was partly such a preoccupation that would play into her misguided censorship measures of the “Emergency” (1975–77), in which democratic rights and freedom of speech were suspended under her order, and coercive methods sanctioned by the state, for almost two years.57 Nonetheless, she attended the opening of the Eameses’ exhibition about her father in Washington in her official capacity as Indian prime minister, and was photographed there with Jacqueline Kennedy, a woman whose own loss in 1963 mirrored that of India’s grieving daughter; the image of the two women played on the emotional links between them and their dynastic first families. The Nehru exhibition finished its run in the Eameses’ own city, Los Angeles; it came to India in 1972, where parts of it remain on permanent display at the Pragati Maidan in New Delhi and the Nehru Center in Bombay. Many of the design aspects of the Nehru exhibition, especially the time-line and historical events panels—later known as the Eameses’ “history walls”—became part of the couple’s signature style. The panels depicted the events of one decade and presented Nehru’s biography as intertwined with the history of the new nation-state. The first panel, for instance, “The India into Which He Was Born,” began with the 1880s, the next, “Childhood in Allahabad” recounted the 1890’s, and so on, eventually proceeding through such themes and events as nationalism, freedom struggle, Nehru’s relationship to Mahatma Gandhi, satyagraha (or the doctrine of nonviolence), the attainment of independence, and the Non-Aligned Movement. The result was an epic yet linear story that inevitably left the viewer in awe of Nehru’s heroic leadership. 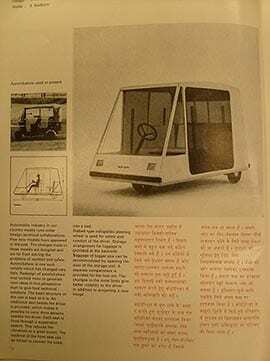 Oddly, in their story of India’s Nehru, the Eameses did not deploy more advanced technologies used in their other exhibitions, like video, film, or multiscreen projection, a great irony given the technological aspirations of the Nehruvian vision. Instead, Charles argued to keep the exhibition simple “for Nehru/Gandhi’s sake,” an assumption that collapsed the notorious gulf between the two leaders on the question of technology, while also mounting a large installation about “Indian weddings” at the point in the history wall recording Nehru’s marriage.58 Here the couple seemed unable to contain their fascination with the exotic rituals of an Indian wedding, and they surrendered to the seductions of an anthropological gaze. 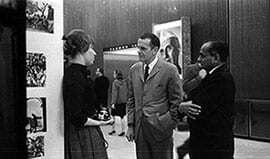 In hindsight, it is additionally meaningful that in 1965 the Eameses’ Nehru memorial exhibition did not find a home at MoMA in New York. It was mounted instead at the Union Carbide Building on Park Avenue, from January to March 1965. The Eameses’ exhibition was undoubtedly a public-relations coup for Union Carbide, the American corporation that had recently joined India’s government-sponsored “Green Revolution” by establishing fertilizer factories throughout the country. Needless to say, public relations would never again be the same for the company after the disastrous 1984 accident at Union Carbide’s pesticide plant in Bhopal, where five tons of toxic gas seeped out of the plant in a thirty-minute period, killing almost four thousand people and permanently injuring tens of thousands more. While much more can be said about this catastrophe—widely regarded as the worst industrial accident in history—it symbolizes for our purposes the ever-widening gulf between the modernizing ideals of the Nehruvian era and the realities unfolding on the ground in India. The Eameses could not have anticipated that Union Carbide would come to stand for the most devastating aspects of industrialization and the Indo-American relationship, or that the Nehruvian dream enshrined in their memorial exhibition might lead to the nightmare of Union Carbide in Bhopal. Indeed, the couple seemed too distracted by the task of commemoration to view the signs of crisis that emerged in the wake of Nehru’s death. Indira Gandhi, for her part, sought refuge in her study where she was reportedly found during this period “curled up in her Eames chair.”59 It is important therefore to further situate the late 1960s and 1970s in India, in order to understand and critically assess why the Eameses’ hopes for the country remain in large part unrealized, and how their liberal vision of industrial design has, paradoxically, reemerged in recent years to serve the needs and desires of India’s neoliberal turn. Charles also cautioned, in a long letter to the organizers when the Nehru show returned to India in the 1970s, against turning the exhibition into some “tasteless Chamber of Commerce pitch.”63 His concern was no doubt a response to a growing trend of the time toward a commercial orientation for cultural exhibitions and the emerging modalities of the international trade fair. By the end of the decade, the first Festival of India—a spectacular showcase of Indian art in Britain heavily promoted by Indira Gandhi and Margaret Thatcher—inaugurated a new era of exhibition culture, both a sign and a symptom of the increased competition among developing nations in the emerging neoliberal global economy.64 There are hints in the archive that the spectacular showcase of the Festival of India, with its goal of imprinting a new era of “Indo-American dialogue,” as stated by the Eameses’ old friend-turned-festival chairperson, Pupul Jayakar,65 was not the kind of show Charles would have liked. But it is difficult to know with certainty due to his death in 1978, which was, in the words of one obituary from the subcontinent, “an irreparable loss to India too.”66 The NID in Ahmedabad posthumously established an endowed fellowship and design award in his honor: it is sometimes referred to in an ironic manner as the “Eames Chair” in memory of his pioneering vision. This other Eames chair—the NID award in Ahmedabad—is an apt motif for the nearly three decades of involvement by Charles and Ray Eames in the Indian subcontinent, until now overlooked in the growing scholarship on mid-century modernism, or presented in the hagiography as an eccentric aside. Yet the Eameses’ involvements with India span a remarkable period of historical change, and the various activities, projects, and relationships they forged provide a glimpse of the successive contexts, mutual dependencies, and competing agendas that have characterized the cold war, decolonization and its modernizing projects, the social crises of the 1960s and 1970s, and the beginnings in the 1980s of the restructuring of the new global economy. The Eameses’ internationalism was clearly made possible by the rise of American cultural hegemony in the world, which, as Serge Guilbaut has argued in the case of Abstract Expressionism, consolidated itself in the postwar period in the new alliances and values of the New York art world.67 As I suggested at the outset, however, the exotic objects collected by Charles and Ray along the way do not merely represent another moment in modernism’s insatiable appetite for the non-West; nor can their presence be adequately understood through the lens of an early-twentieth-century primitivist paradigm. The new world order of decolonization that led the Eameses to the subcontinent in the first place dramatically transformed the historical equation and presented a new horizon of agencies and possibilities for sovereignty and citizenship for the countries of Asia and Africa in the postwar period. In their response to the modernizing projects of the Nehruvian era, their humanist commitment to enabling India’s modernity, and their uneven attempts to comprehend the vexed questions of design in the subcontinent, the Eameses in India represent both the beginnings of an era of US hegemony, and a set of creative aesthetic responses to it, a paradox that was ultimately expressed and codified in their design manifesto and ethical vision for the new republic, The India Report of 1958. 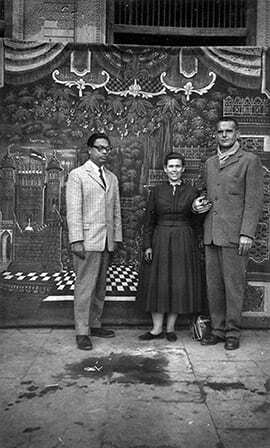 More than fifty years later, The Eames Report has acquired something of the status of scripture in India, and it is frequently cited in the explosion of contemporary discourses surrounding design, in spite of its sentimental identification with the vernacular embodied by Charles’s preoccupation with the lota. The new visibility of design in India is undeniably linked to the centrality of new media, digital technologies, consumerism, and advertising to the neoliberal economic revolution that has meant an unprecedented expansion of the consumer class, but that has nevertheless excluded the large swath of the population that remains in poverty. In 2007 the government articulated a new set of design ideals, radically different from the socialist paradigms of the Nehruvian era, in an official National Design Policy, which posited as one of its main goals the “global positioning and branding of Indian designs” within the international marketplace.68 The self-stated ambition of the policy is to “outsource design,” and to promote the phrase “Designed in India” as a symbol of innovation and quality, in contrast to “Made in India,” which hints of cheap labor and poor production quality. As one Indian journalist noted, every iPod carries the inscription “Designed in the USA, built in China,” which underscores Apple’s “justly deserved reputation for understanding the value of design and its relevance to corporate strategy.”69 In the area of design, the journalist argued, India should aspire to the global success of the iPod, a mission which the Eameses as the architects of India’s first policy statement on design would have endorsed. In other words, the problems of American hegemony in design that the Eameses simultaneously represented and confronted during the 1950s persist in powerful ways in an era in which design innovation is increasingly bound up with corporate strategy and the dreams of US-led capitalism on the world stage, as symbolized by the example of the iPod. In contrast to arguments about the value of design for global economic success, and the reception in India, for instance, of Richard Florida’s contentious, best-selling books on the economic role of the “creative class,”70 prominent theorists in India have also returned to the Eameses’ vision of the designer as a facilitator who empowers social groups and more broadly to their program for a socially conscious design to confront the homogenizing forces of globalization.71 To such thinkers, the Eameses’ conception of design as a bridge between the traditional and the modern has a new urgency and resonance in the face of a growing gulf between the urban, international locations for design, and the rural, vernacular basis of India’s craft communities. They point, in other words, to a set of possibilities emerging from The Eames Report different than those adopted as corporate strategy in the interest of quality, profit, and the outsourcing of design. How these varied uses and abuses of the Eameses’ legacy in India will enhance or hinder the nation’s aspirations for design, or serve to activate the social conscience of its public, is something that is continually unfolding and remains, of course, to be seen. 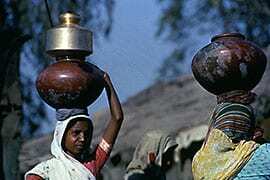 In the end, however, these sorts of concerns cannot be said to belong specifically to India. They point instead to the larger dilemmas that Hal Foster has linked to the new “political economy of design” in his self-described diatribe against the “tight consumerist loop” of contemporary design, Design and Crime.72 For Foster, the inflation of design, where “everything from jeans to genes seems to be regarded as so much design,” has followed the “spectacular dictates of the culture industry, not the liberatory ambitions of the avant-garde,” and it appears to reach its point of excess at the moment of its globalization, as in the turn to the cities of Asia by Rem Koolhaas, or the worldwide implications of the Bilbao effect, “likely to come to your hometown soon.”73 My account of Charles and Ray Eames in India has been an attempt to situate these contemporary processes within the long global career of design itself, and to map the specific contours and limits of a dialogue between two very different utopian investments in modern design (i.e., American and Nehruvian) in the middle of the previous century. My study is by no means a dismissal of the Eameses, but rather a bid to reposition their significance, at least partially, in this neglected episode of their career. My argument has been that the Eameses’ involvements with India make visible a set of historical interconnections between a postwar modernism and the particularities of a postcolonial one, which allow us to sketch a more global genealogy in response to the needs of our ambiguous present. Saloni Mathur is associate professor of art history at the University of California, Los Angeles. She is author of India by Design: Colonial History and Cultural Display (University of California Press, 2007), editor of The Migrant’s Time: Rethinking Art History and Diaspora (Yale University Press/Clark Art Institute, 2011), and coeditor (with Kavita Singh) of No Touching, Spitting, Praying: Modalities of the Museum in South Asia (forthcoming, Routledge India). I am grateful to the people and resources of the Clark Art Institute, the UCLA Center for the Study of Women, and the Getty Research Institute for supporting different stages of this project. Thanks also to David Hertsgaard at the Eames Office for his generous assistance with the images.